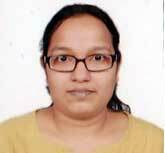 Ms. Lakshmi Priya has an interest in West Asia especially Syria. She submitted her PhD dissertation in 2016 on the status of women in Syria during the period 1970 to 2000. The dissertation deals with the role of the Syrian state in empowering women during Hafiz al Assad’s rule. Prior to this, she was associated with the Indian Social Institute and Office of the Cultural Attache, Embassy of the Kingdom of Saudi Arabia, as a researcher. She completed her masters in Arabic language from the School of Languages, Jawaharlal Nehru University. In addition to area studies, she also has an interest in international relations and political theory. She has published a research article on the legitimacy of the Baath in Syria and the Gramscian idea of Cultural Hegemony.